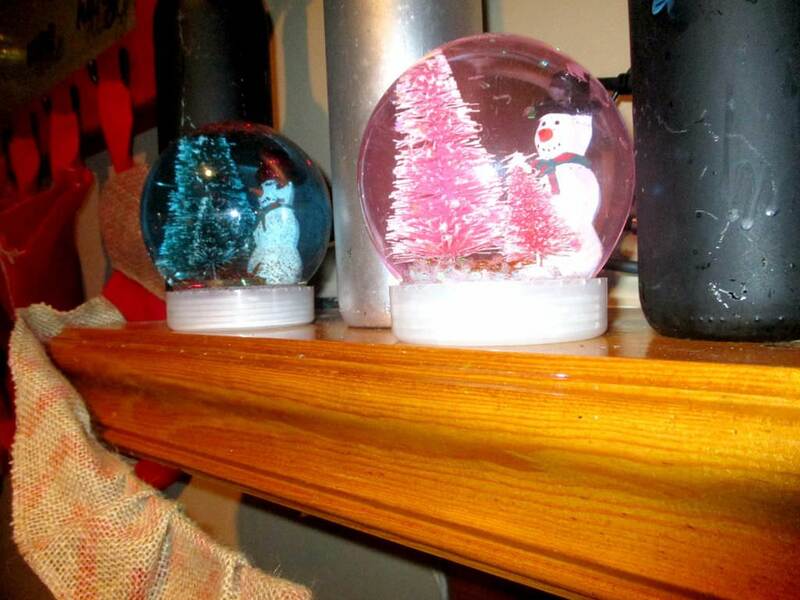 We’ve collected a glorious list of 16 DIY snowglobe plans. These globes are fun crafts projects. Whether you’re creating a Christmas scene from a marmalade jar, or something spookier for Halloween- there’s a lot of different options. A weird one is #4. 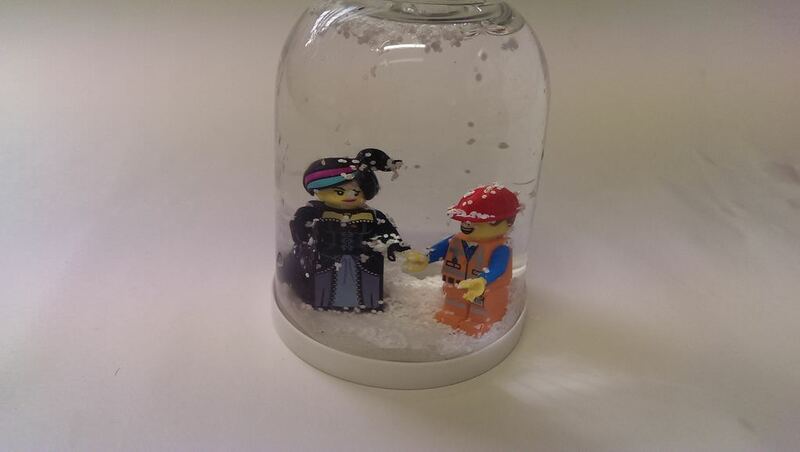 It’s a ‘personalized’ snow globe containing a lifelike figure that also plays a custom audio message. #7 is even crazier- it’s a ‘smart globe’ that will tell you the actual weather outside once you shake it! Scroll through our list and click the View Plans button to get step-by-step assembly instructions. 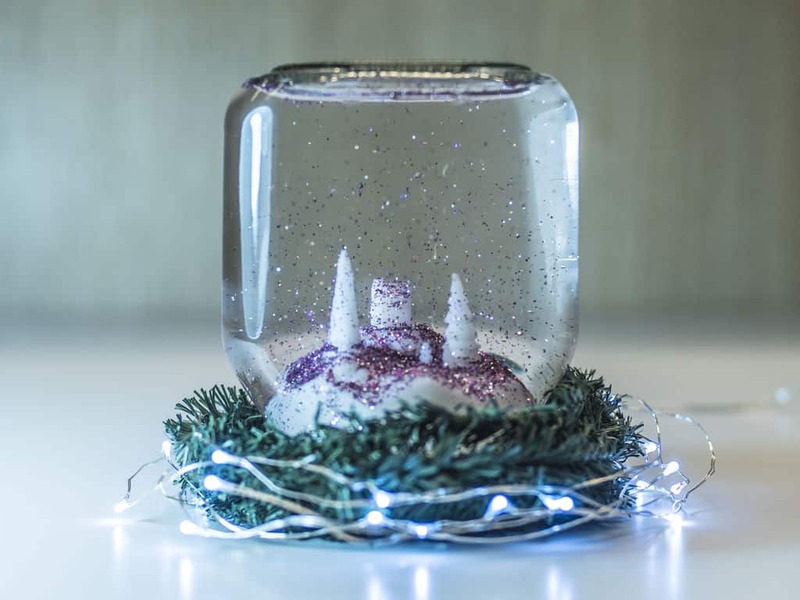 This snow globe is cute, easy to make, and requires materials that you likely already have sitting around your home, like mason jars, scissors, pencils, and paper. The mason jar creates a unique dome shape and makes assembly and disassembly a piece of cake. 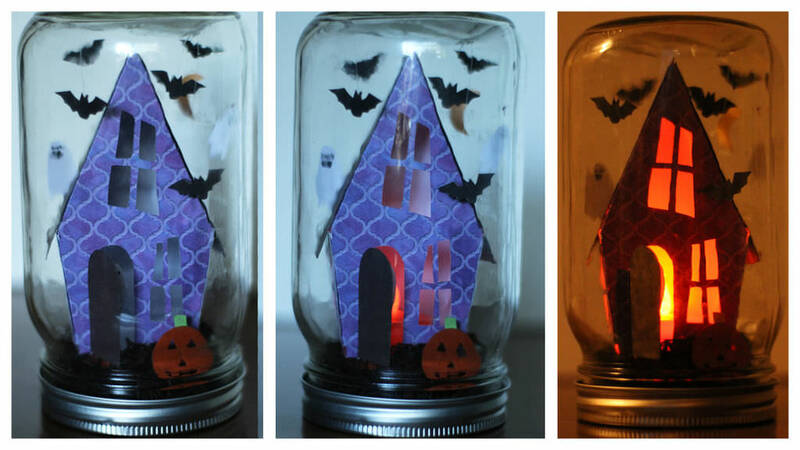 Simply print out a haunted house and bats, glue them together, add tea lights for a spooky effect, and you’re done. Although this tutorial is for a Halloween edition, this same concept could be used to craft Christmas, Valentine’s Day, or casual snow globes for any occasion. For those more technically inclined, try taking apart an old snow globe and connecting it with an Arduino to build this light up display. You’ll need to make a LED flasher circuit and do some soldering. Although not super easy to put together, this is an impressive project that will definitely scare your friends and family. The builder carved a face to imitate a pumpkin on her display, but you can draw anything you want, like bats, witches, monsters, and skeletons. 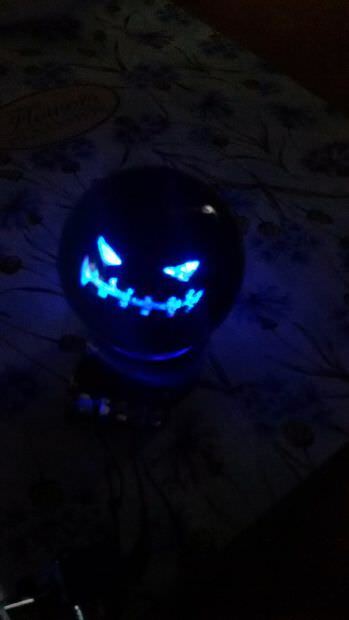 The lights mounted inside will make whatever you do draw look ghoulish — this could even be used as a scary nightlight. In a festive mood? 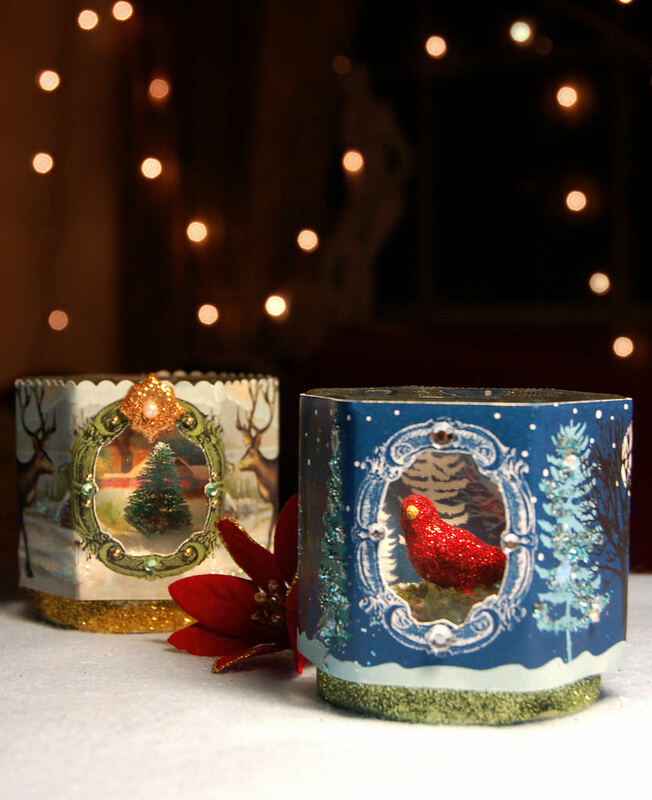 After a trip to the craft store, you can make this holiday-themed snowscape. Print photos that you like onto sticker paper and stick them on the outside of a square jar — this creates a refreshing and new take on a regular snowglobe. Buy some glitter, small ornaments, and stickers to put inside and get creative. The builder didn’t put any water or liquid inside, though you could if you want to. Just make sure the jar is sealed well! Without liquid, the glitter and snow will still swirl around when shaken. You know what would be a great holiday gift? 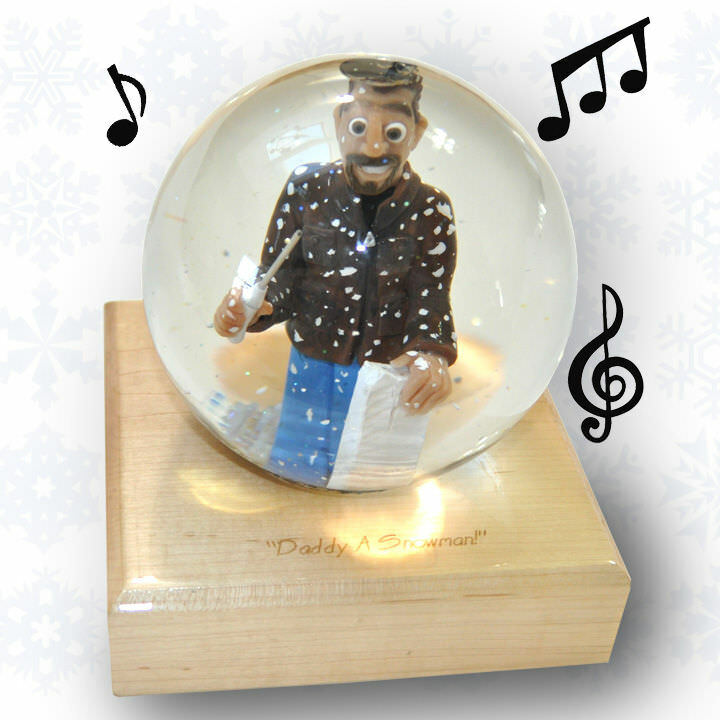 A snow globe with your figurine that plays a personalized audio message. To make this, you’ll need some patience and supplies like a sander, drill, empty globe, and soldering iron. If you’re artistic, try making a mini version of yourself out of wood or molding clay — otherwise, find a doll or figure that can resemble you. Then, buy a greeting card that lets you record your voice and attach those electronics to the base. Children will love making these and your loved ones will love receiving it. If you’re looking for something easy and inexpensive, try making this project. All you need is water, an empty jar, stickers, and your creativity. 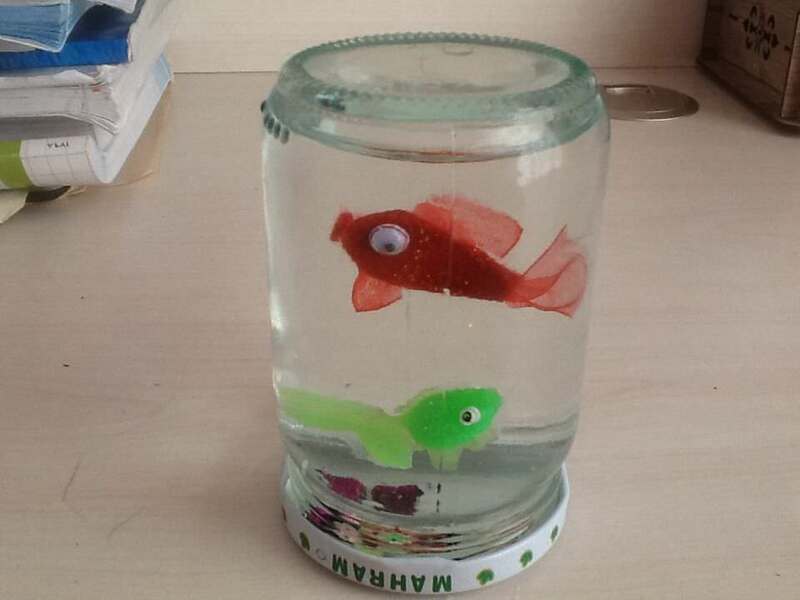 The designer originally used fish, but 3D stickers are available in a variety of different shapes and themes. This also means that you won’t have to use any glue. Thickening the water with some vegetable oil or glycerin is a great hack to get a more realistic effect when you shake the globe — this way, your glitter or snow won’t immediately settle at the bottom. This is a great project that’s simple enough for children to do on their own. Strong glue (like E6000), glitter, a globe, and decorations for the inside are all the materials needed. A commenter even suggested that you could make these at different sizes — use little mason or baby food jars to craft small ones or large domes from the craft store to create bigger ones. Fully customizable, you can create this project around almost any idea. 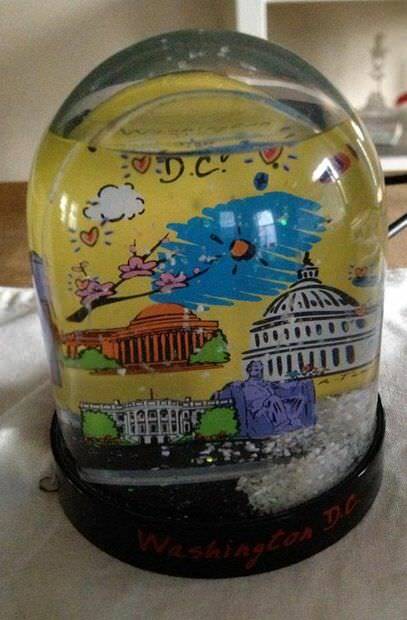 If you’re looking to get into physical computing, try making this snow globe that can tell you the weather! Once shaken, it will light up a certain color — green if there is no snow and everything is normal, red if it is a snow day and schools and businesses are closed. Of course, you need to connect this to the internet and use some sort of open source hardware like an Arduino or Adafruit Flora. A great novelty for students, this is an interesting and practical way to brighten up your mornings. A beautiful and highly personalized display, this is a good project for someone extremely aesthetic-orientated. You’ll need quite a lot of supplies, like hot glue guns, stickers, an etching utensil, utility knife, etc. What’s great about this in particular? You can etch whatever message or letters you want — the original builder did the word “joy”, for a holiday theme. 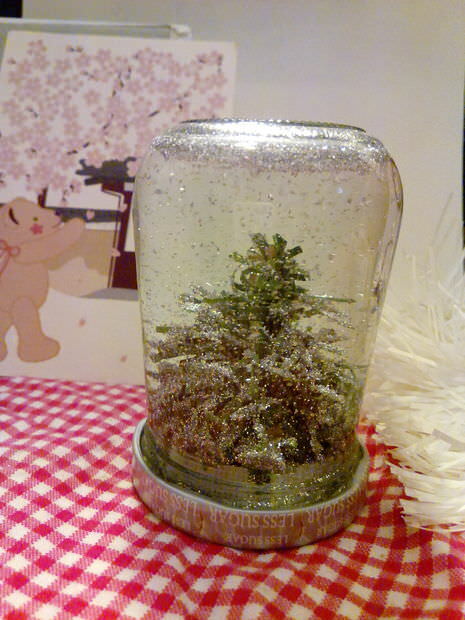 You can also get creative with the decorations and types of glitter you put inside the jar. 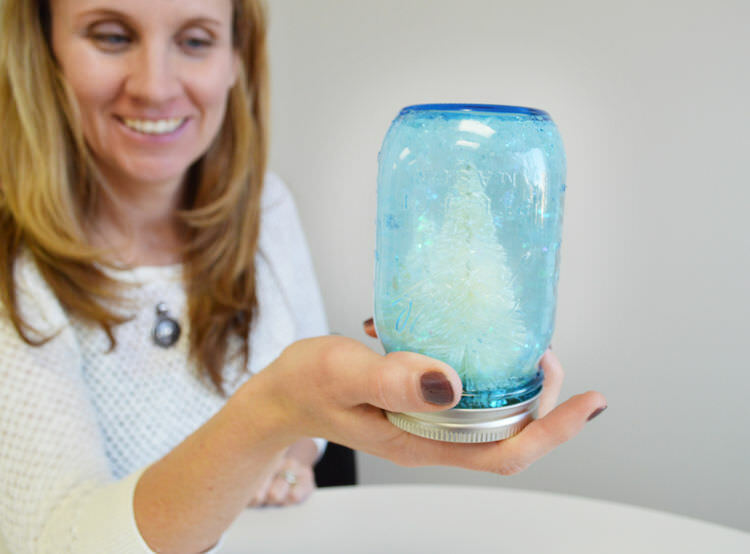 You can also use a mason jar or actual snow globe. Have a spare jar in your cupboard? Try making this DIY with some string lights, glycerin, a glue gun, glitter, and some festive decorations like Christmas wreaths, ornaments, and stickers. If you have a 3D printer, try printing the inside landscape to save yourself a little time and money. Then, fill the container and affix your model to the lid. Shake it and you’re done! This is also easily personalized, as you can use any theme or decor. You can also play around with different shaped containers to get an interesting look. This project is perfect for any Star Wars fan, young or old. This uses relatively simple supplies that you might already have at home, such as paint, glitter, glue, and dish soap. Using an ornament or anything circular, simply paint the head on, then attach it to the base. This works perfectly with the roundness of the globe and looks exactly like the real robot. 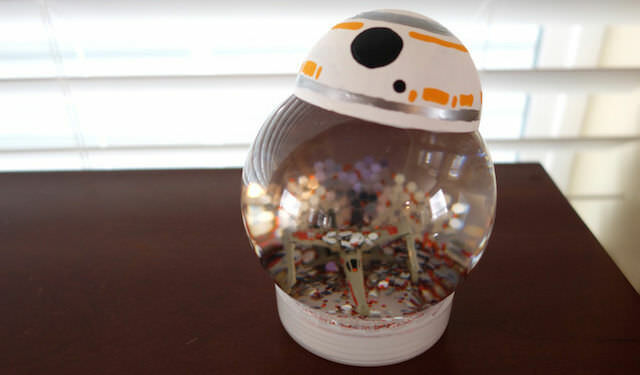 If you have any small toys lying around, like a little Death Star or lightsaber, add them into the globe. Why stop there? Get creative and try making your other favorite characters from across the galaxy. If you have young children, you probably have tons of these toys laying around the house. Put them to use by making this. 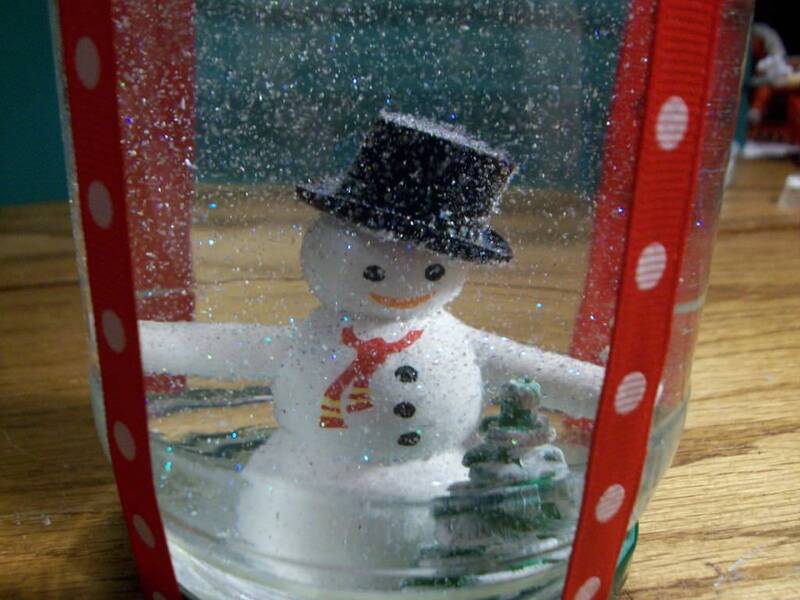 You’ll need the standard snow globe supplies — water, a jar or dome, glue, and glitter. Just clean your container well, affix the figurines to the lid, mix your other ingredients, and put it all together. This project is perfect for kids, as they can make them without any parental help. This could have a variety of themes or designs, however. For example, use a figurine of a married couple and get this as a present to newlyweds. If you’re a lover of vintage and old-timey things, consider this DIY. You can get very imaginative here and design the inside however you like. Craft and dollar stores are the perfect places to find fake snow, glitter, decorative rocks, plastic trees, etc. A great holiday gift, this project is easy and fun to make, requires few supplies, and doesn’t demand much artistic ability. Buying crafts can be expensive, so it’s not a bad idea to try using a bottle or container you already own. This builder used a pickle jar, which has the perfect domed and circular shape — it is also a little taller, allowing you to put bigger things inside. She used an old doll, which is an ingenious way to get your kids excited about forgotten toys. You can glue the doll or toy onto the lid of the container and add your water and glitter. As the creator describes, this makes a great gift if you can’t find a gift for a friend! If you need a last minute present or don’t want to spend a lot of money, opt for this DIY. She actually utilized branches from her own Christmas tree to make a mini one inside the snow globe. Simple, easy, and charming, you can create any winter scene that you like. You can even put tiny little present underneath the tree! Your friend or family member will be surprised to know that they have a piece of you in this custom globe. Another holiday-themed gift, this goes to show you how many different variations on the same basic concept can be made. This builder used baby oil and no water to really make the snow and glitter move around slowly. They also tied a ribbon around the jar, as if it were a present in a box. A personal and extra touch, this raises the bar to make this feel like something you would buy in a Christmas store and not just something you made in five minutes. The materials used were a hot glue gun, sparkles, container, and plastic decorations for the inside. One enterprising crafts person decided to create one of these magical, Christmas projects as part of an engagement proposal to his girlfriend. He submitted a post to the Reddit DIY community and he was wondering which kit he should purchase and how much glycerin to use. One user told him not to purchase wooden lettering to include in the interior because it’s likely that the wood would warp or expand in the water. He does say that a polyurethane finish or even acrylic spray paint could be used to protect the wood lettering. Though the plastic letters would probably be a better long-term solution. When it comes to the actual size, deciding between 4 inch and 6-inch options, he was advised to purchase the larger option if he was going to spell out more of a message with the lettering. In another area of Reddit, a craftsperson used shower gel for the interior- combining it with marmalade jars. Her particular question was that she wanted things to move and fall more slowly on the interior so that they would appear to be floating- but she’s had trouble acquiring glycerin in Europe. One user provided some interesting alternatives including corn syrup. Another suggested a mineral oil- saying that it is a tasteless and odorless digestive lubricant you can buy at your nearby drugstore. 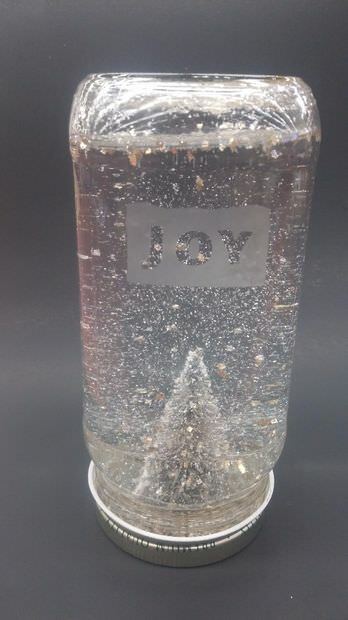 In another subreddit, there’s a gif of a magnetic snow globe Christmas tree that pulls an incredible display as it sheds its Pine needles in one fell swoop. Truly magical. According to Wikipedia, these ornaments date back to 19 Century, France- possibly functioning as paperweights. They were also exhibited at the Paris Universal Expo of 1878 and companies began selling them throughout Europe. In the 1920s they migrated to the United States of America where they quickly became celebrated as collector items. Nowadays they are mass produced by different countries- with China and Hong Kong producing cheaper quality options while Austria still produces a high-quality craft version. You’ll find a lot of different scenes encapsulated inside- ranging from Disney characters, military exploits, Christmas scenes as well as popular historical events.